This sweet rosette banner will inspire you to make the baking, icing, and decorating a memorable affair! 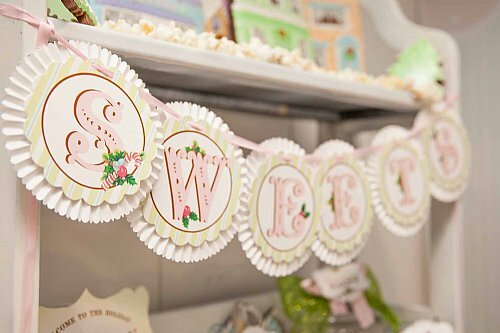 The standard banner reads "SWEETS" or you can personalize it with a word or name of your choice - up to ten (10) characters. 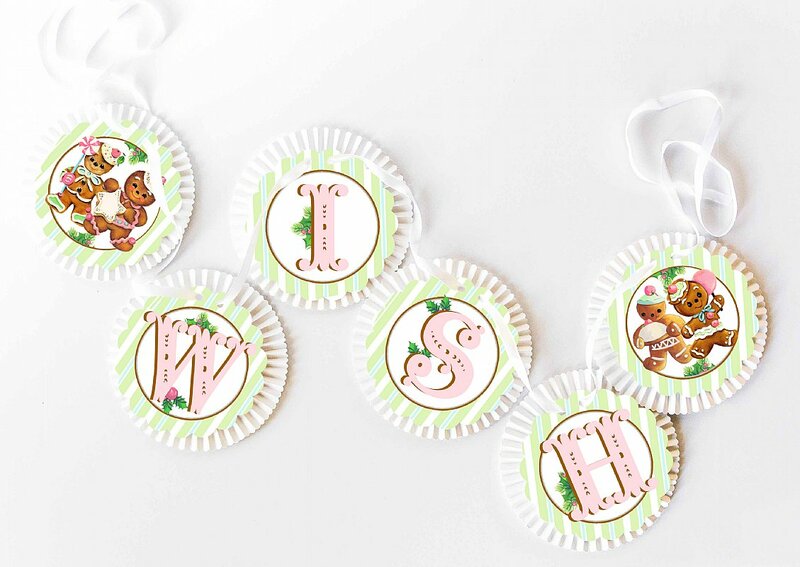 Professionally printed on 5.25" scalloped green holiday stripe medallions and adhered to 6.5" heavy luxurious white rosettes. 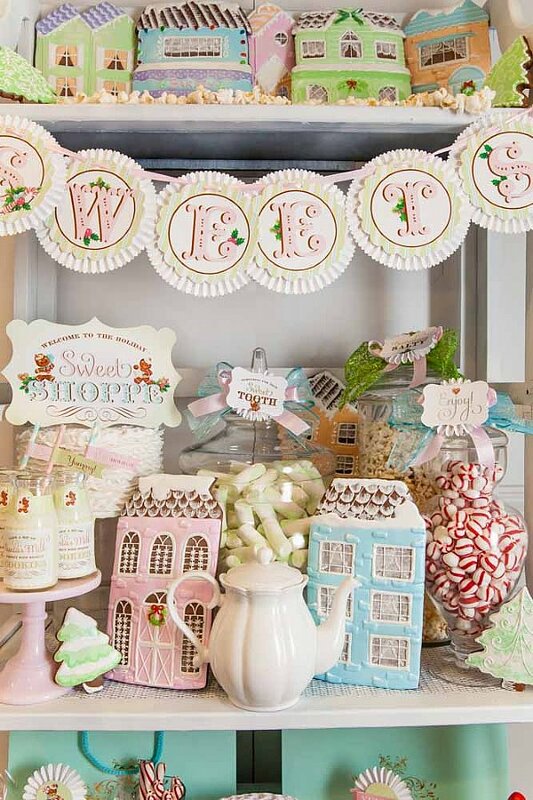 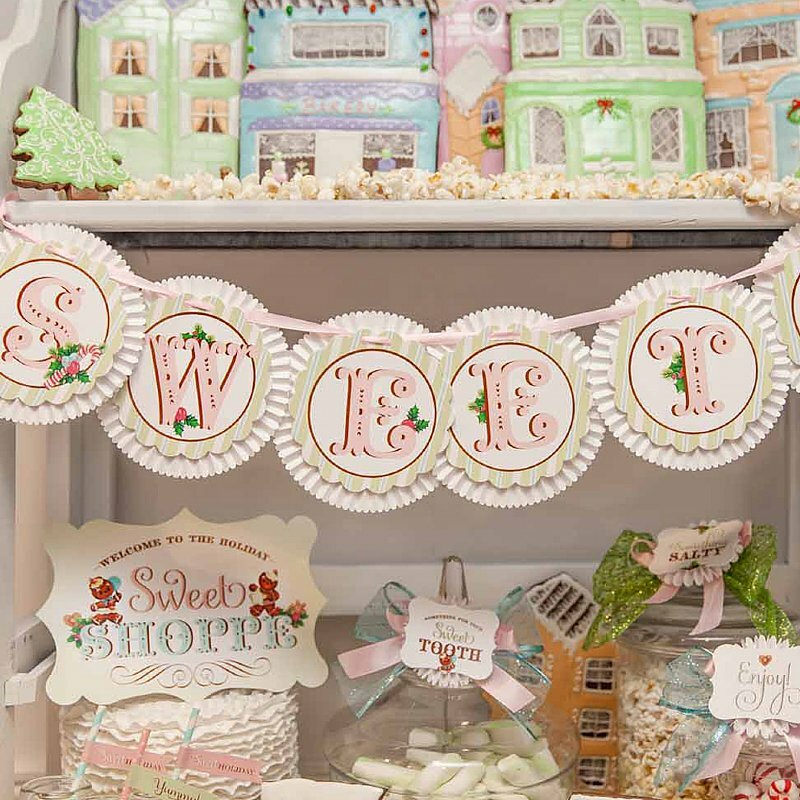 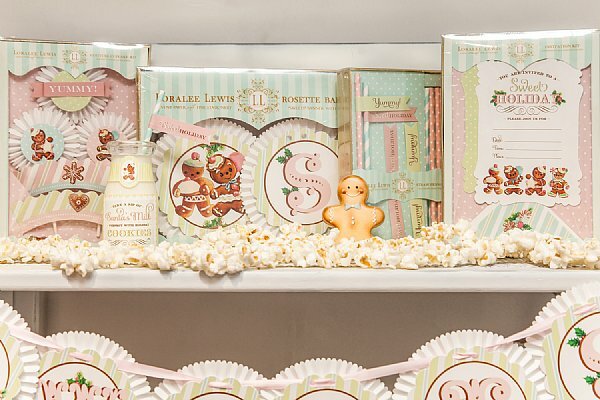 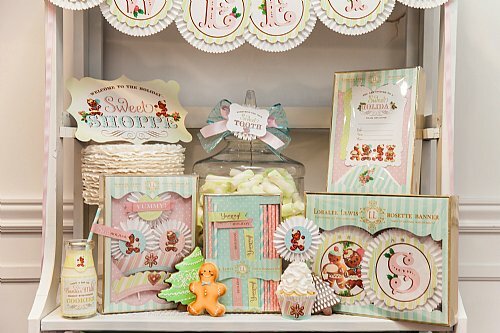 Sprigs of holly and little vintage-style gingerbread men add to the charm of this special banner. 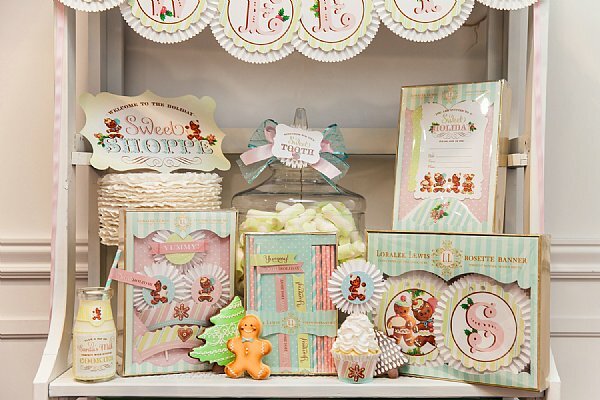 Satin ribbon included.